Live Nation and Love Police are delighted to announce the return of a key player from the fertile US Americana scene, with Jason Isbell and his full live band The 400 Unit returning to Auckland for one headline concert at Auckland Town Hall on March 27. Tickets go on sale at 1pm on Friday, January 19. 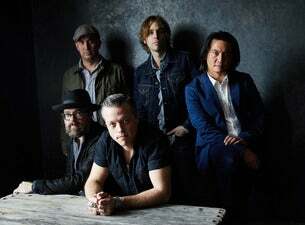 In just ten action-packed years the career of Jason Isbell has transformed from being third-string singer-songwriter in legendary Southern rockers Drive-By Truckers to one of the most revered voices on the American circuit. Influenced by the soul music so intrinsically tied to his homeland of Northern Alabama as well as the more traditional country and folk staples, the songwriting of Jason Isbell is rich and powerful and disarmingly expressive. American Songwriter Magazine recently espoused, “There’s no better songwriter on the planet at the moment, no one operating with the same depth, eloquence or feeling”. Backed by his road-hardened band The 400 Unit, Isbell is one of the most potent acts on the road today, performing some of the finest songs penned in the last decade. His recent sixth solo album The Nashville Sound debuted at #4 on the US Billboard 200 chart, also topping the US Country, US Folk and US Rock charts (as did its 2015 predecessor Something More Than Free). Something More Than Free also scored Isbell twin Grammys for Best Americana Album and Best American Roots Song (for single 24 Frames), as well as taking home Album Of The Year at the prestigious Americana Music Honors and Awards ceremony. Isbell last visited New Zealand for a solo show in 2014, after a stellar support slot for Ryan Adams at The Civic in 2012. He’ll be supported by excellent New Zealand folk singer-songwriter Nadia Reid. Book your memories now, this is an Americana tour de force not to be missed!